It’s ages since I’ve read a book about an alien invasion and I thought this novella had an intelligent take on the subject matter, saying as much about our potential future as it did about what might happen during an invasion. I really liked how the book had a realistic story about a relationship from the beginning to the end. Adam and Chloes’ responses to their situation felt authentic, especially Adam’s changing perception of Chloe as their relationship deteriorated. Although this novella is short, the world is richly developed. It captured how the humans of this version of Earth became carried away by what the vuvv promised, without realising the impact on their lives. Adam developed an illness because of the living conditions of this world and I thought this was handled really well. He had terrible digestive problems that were presented in a visceral, realistic manner but with empathy as well. Another thing I really liked was Adam's art. The book captured what it feels like to be creative, and showed how Adam used art to make sense of (and escape from) the world he lived in. I devoured this book in a couple of sittings and I'd recommend it if you want a short, smart and thought-provoking read. As soon as I heard about this book, I loved the idea of a foundation in African mythology and was thrilled to receive a proof copy from My Kinda Book. For me, Children of Blood and Bone far exceeded the hype and I would rank it as one of my top 5 fantasy books of all time. I think the real strength is in the plotting. The stakes are high and the book piles on the conflict throughout! There was a fantastic balance of lighter moments, relationships and fast-paced action. The three viewpoints were also really effective, delivering very different perspectives and motivations. I thought all of the characters were nuanced and interesting, from the most minor characters to the main ones. I loved Zélie the most of all, for her strength and the journey she went through as a character. I don't think I've ever read a book based on African mythology and I loved the world-building in Children of Blood and Bone. 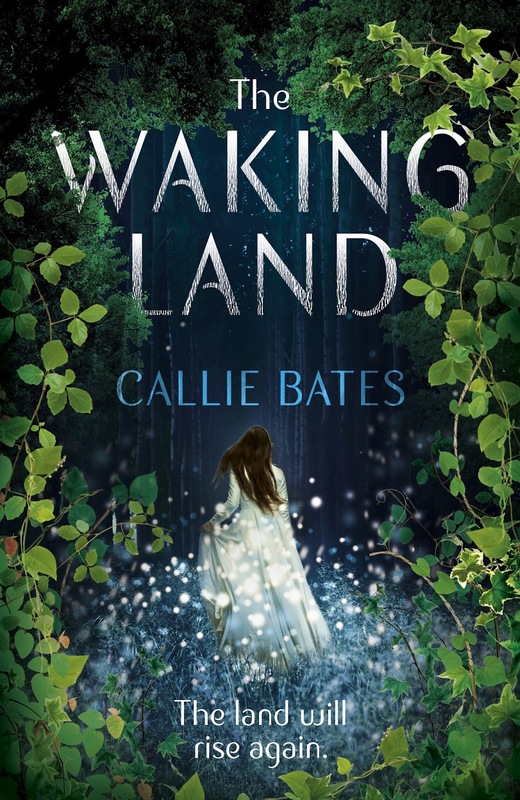 The politics, magic and mythology interwove into a rich, complex but accessible world. This is the most exciting series I've read for a long time and I think all of fans of YA, fantasy or just a fantastic story should read it. 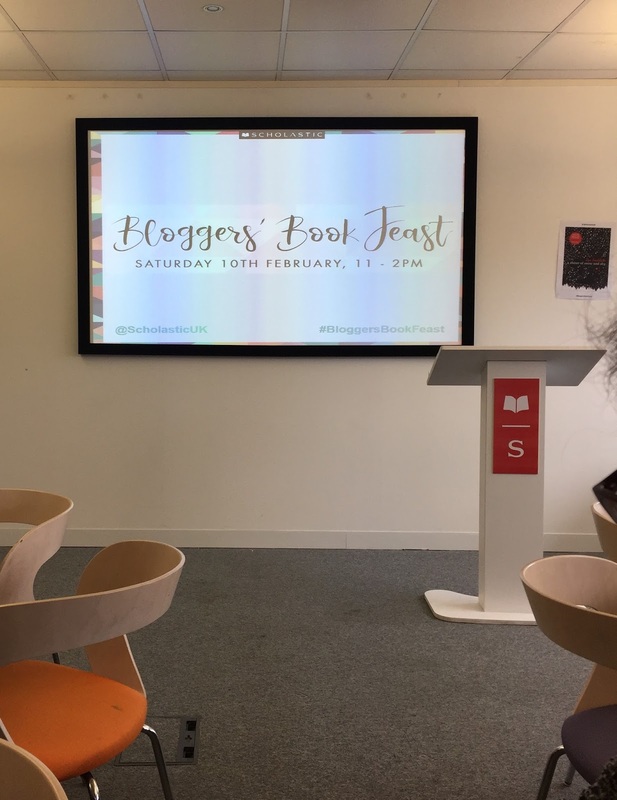 This was my first ever Scholastic Bloggers' event and I had a fantastic time. It was really fun to visit the Scholastic office and to meet so many lovely bloggers, publishers and authors. I thought the day was really well-organised and I got a lot out of it as a reader, a blogger and a writer. Scholastic have a wonderful list of books coming out in 2018 and the day started with a summary of their list. All of them sounded great but here are some that I'm the most excited about! I managed to pick up a copy of Shell by Paula Rawsthorne, which came out in January and it sounds incredible. It's the story of a girl who was terminally ill until her parents find a new body for her, and I'm obsessed with the idea of a modern take on Frankenstein. We got chance to see the cover for Surface Breaks by Louise O'Neill, out in May, and it's absolutely gorgeous! There'll be a public cover reveal soon. This story of The Little Mermaid told through a feminist lens appealed to me from the moment I heard about it and I can't wait to get a copy! I was already very excited about State of Sorrow by Melinda Salisbury, and the more I hear, the more I'm not sure how I'm going to wait until March. I'm a huge Sue Wallman fan and I can't wait to read Your Turn to Die in May, another fantastically twisty YA thriller. Neverworld Wake by Marisha Pessl, out in June, is about five friends who are given a devastating choice: they must decide which one of them will live, and then the rest will die. We received a copy in our goody bags and I can't wait to see how this book turns out! A Sky Painted Gold by Laura Wood is described as 'a gorgeously dreamy coming-of-age romance set against a stunning Gatsby-esque backdrop'. Out of the all the books we heard about, this was one of the most exciting and I can't wait to get a copy. Laura read the prologue to us and I was immediately gripped. The writing is beautiful, and very evocative of the time period and setting. It was amazing to hear from authors about their books and writing processes, and I really enjoyed the conversation between editors about what their role entails. The presentation by designers was also really interesting, as I've never seen how a book cover goes from a sketch to the glorious finished product. 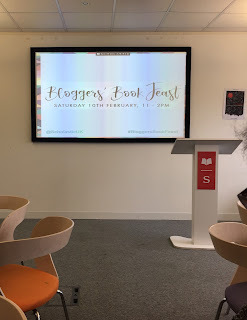 There was also a fantastic author panel with Alice Broadway, Paula Rawthorne, Tracey Mathias, Sue Wallman, Eve Ainsworth, Laura Wood, Simon James Green and Lisa Thompson. I really enjoyed hearing them talk about their books and the amazing range of stories. I had a great day and I'm really excited to read my new books. Thank you to everyone at Scholastic! This is one of the best collections of short stories that I've read for ages, and with the calibre of authors included I'm not surprised. I enjoyed some aspect of all of the stories and I thought there was a really good range of genres and subject matters covered. Most stories were contemporary but there were some with fantastical and sci-fi elements that I really enjoyed. My favourite stories were by Nina LaCour, Julie Murphy, Nicola Yoon and Dhonielle Clayton. I've just read and loved The Belles, but I need to get books by the other authors immediately! 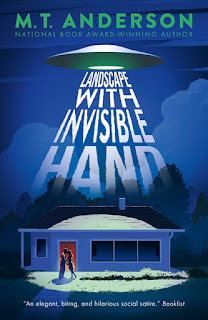 Nina LaCour's is the story that really stayed with me. I wish there was a whole book with these characters! It's about two girls who meet through a customer service complaint. Their fledgling relationship was really heartwarming and I loved both characters. Julie Murphy's story of a reality TV dating show was hilarious, unexpected and entertaining! The voice of her writing was great and I can't wait to read more of her books. Nicola Yoon wrote an incredibly creative story about breaking up that reminded me a lot of Eternal Sunshine of the Spotless Mind. It's rare that I come across a story so delightfully inventive and I really enjoyed it! I adored Dhonielle Clayton's writing in The Belles and her short story was incredibly moving and thought-provoking, achieving so much in so few words! If you want a book that's sweet and uplifting, this is a perfect option. Now 20, Elanna is about to be taken prisoner once again... but this time by her father's mysterious righthand man. Her father wants to reignite his rebellion, this time using Elanna as figurehead. He will tell his followers she is the legendary Wildegarde reborn, a sorceress who could make the very earth tremble. I'm thrilled to join the blog tour for the paperback release of The Waking Land. This book has a unique premise and a rich mythology that made it a refreshing fantasy read. Elenna went on an interesting journey as a character, both in coming to terms with her powers and her identity. I'm a fan of characters who don't have all the answers, and I enjoyed Elenna's developing relationships with the supporting cast of characters. 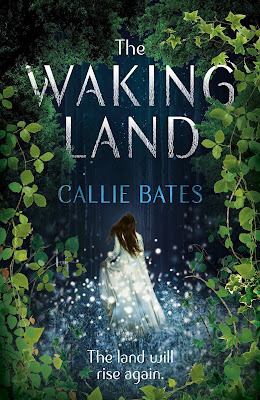 I really liked the setting of The Waking Land, especially the role of magic in the world's mythology. The politics were also really intriguing to me and I think there's plenty of material for the other books in this series. I love a good revolution story! Elenna's personal struggle and torn loyalties added an extra level of tension. I really liked the romance in this book and it built to some steamy scenes that I enjoyed a lot. Although I felt like the pace slowed down in a couple of places, the revolution built to an exciting (and sometimes heartbreaking) conclusion. This is a really promising start to a series and I'll look forward to the next book! I AM A BELLE. I CONTROL BEAUTY. In the opulent world of Orléans, the people are born grey and damned, and only a Belle's powers can make them beautiful. Camellia Beauregard wants to be the favourite Belle - the one chosen by the queen to tend to the royal family. 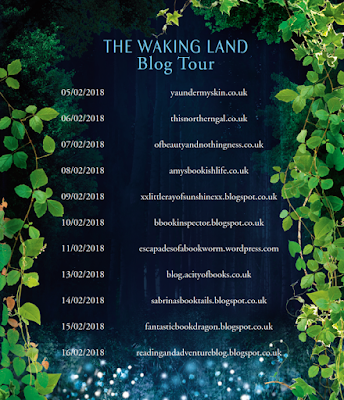 But once Camellia and her Belle sisters arrive at court, it becomes clear that being the favourite is not everything she always dreamed it would be. Behind the gilded palace walls live dark secrets, and Camellia soon learns that her powers may be far greater - and far darker - than she ever imagined. I can say with absolute confidence that The Belles is going to be one of my books of the year. 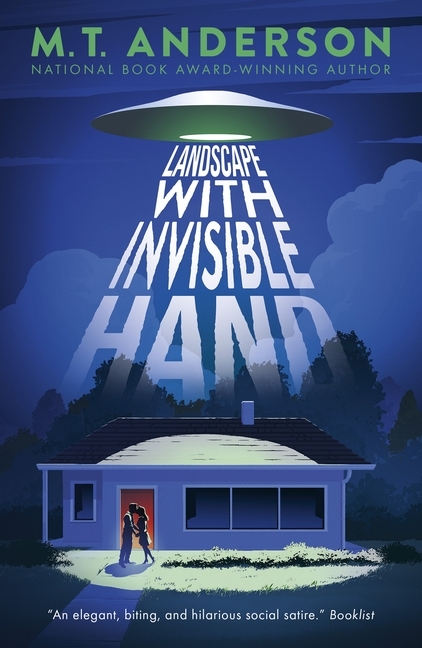 The writing is dazzling, the plot hooked me immediately and it made me think too. I'll share my opinions and then you can find out how to win your very own copy! The writing in this book is absolutely gorgeous. It powerfully evokes the senses and created a vividly realised world, which is so beautiful on the outside that it highlights the ugliness beneath the surface. I was also struck by the power of the book's message. 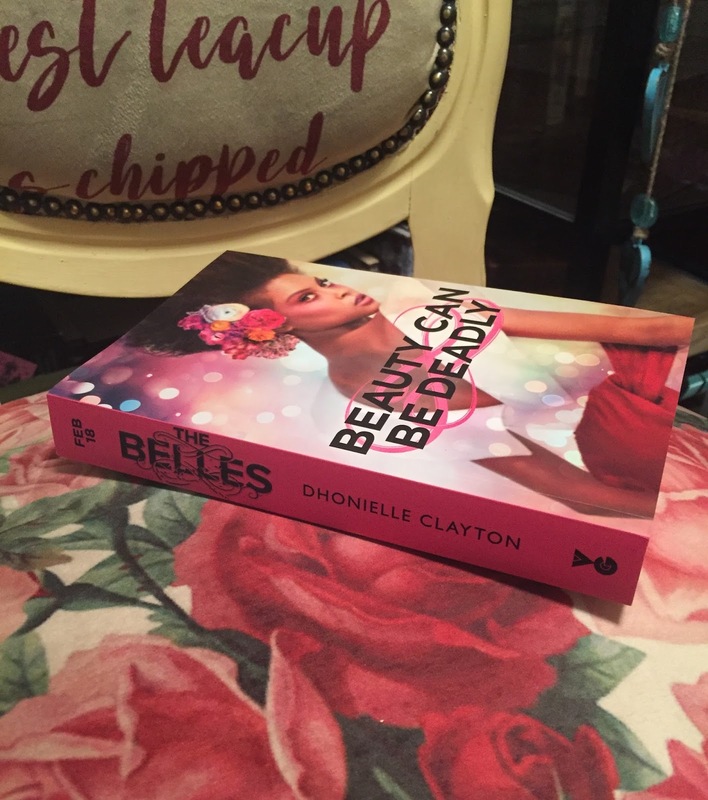 The Belles very cleverly drew contemporary parallels about society's standards of beauty, and made me think about the pressure that both men and women are under. I also found this one of the most compulsively readable books that I've read for a very long time. I was really invested in what happened, mostly because I cared so much about the characters and also because the world was in such desperate need of change. Camellia is a memorable, realistic main character, who goes through a real journey and the series of the book. I found her multi-faceted and interesting, with both strengths and flaws. I loved everything about this book and it's definitely one I'll remember. It comes out on 8th February and I've already preordered my finished copy. The lovely people at Gollancz have offered a copy of the book to give away! Please comment on this blog post or retweet my pinned tweet to enter. The giveaway ends 10th February and is UK only.